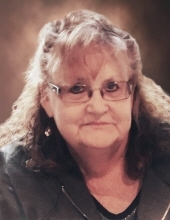 Deborah Ellen Reinbold, 71, of Munger, died Tuesday morning, March 26, 2019 at the Tuscola County Medical Care Facility in Caro. She was born June 3, 1947 in Saginaw, daughter of the late Arnold and Barbara (Gudritz) Reinert, and was a graduate of Frankenmuth High School. Deborah was employed at Osh Kosh in Birch Run as a Sales Clerk for many years. She enjoyed home decorating, especially at Christmas, and her grandchildren were the love of her life. Surviving are her children and their spouses; Terry and Brenda Reinbold of Houghton Lake; Todd and Julia Reinbold of Frankenmuth; and Tiffany and Shawn Reitz of Munger; nine grandchildren; Aaron, Mack, Lauryn, Noah, Luke, Jack, Paige, Caleb, and Tucker. Also surviving are her brothers; Richard (Verona) Reinert of Richville; David Reinert of Saginaw; and Gregory (Amy) Reinert of Auburn. In addition to her parents, Deborah was predeceased by her brother, Jeffrey Reinert. To plant a tree in memory of Deborah Ellen Reinbold, please visit our Tribute Store. "Email Address" would like to share the life celebration of Deborah Ellen Reinbold. Click on the "link" to go to share a favorite memory or leave a condolence message for the family.